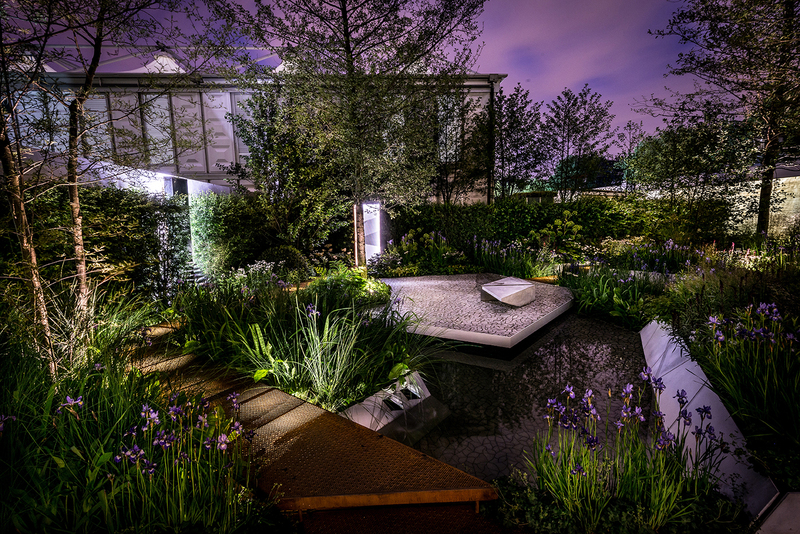 The garden is inspired by the stories of those who suffer from severe premenstrual syndrome. 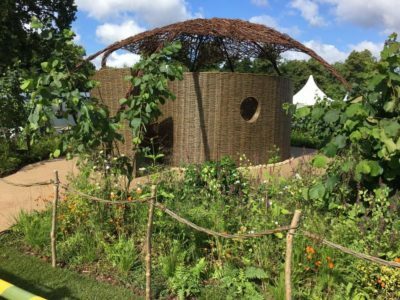 The outside and inside are connected by the overarching willow and steel canopy – symbolising the effect of fluctuating hormones on the brain. 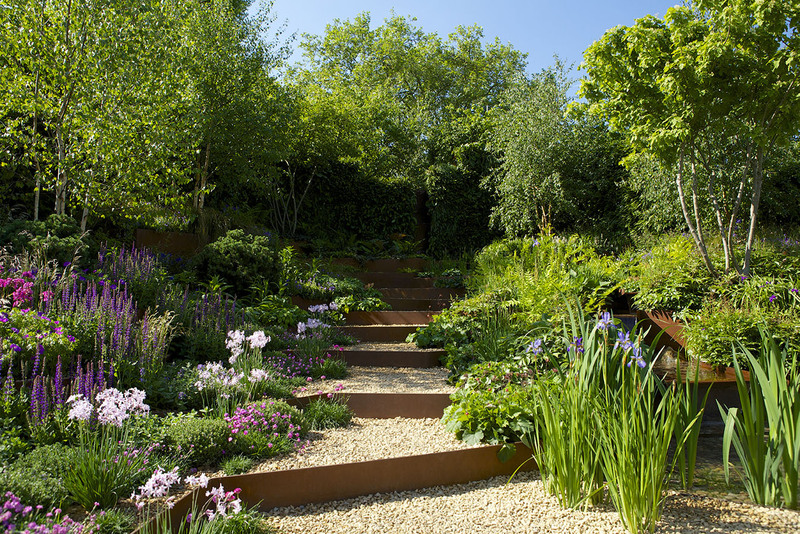 The outside planting includes recently coppiced hazel trees – symbolizing energy, cycles and regeneration.